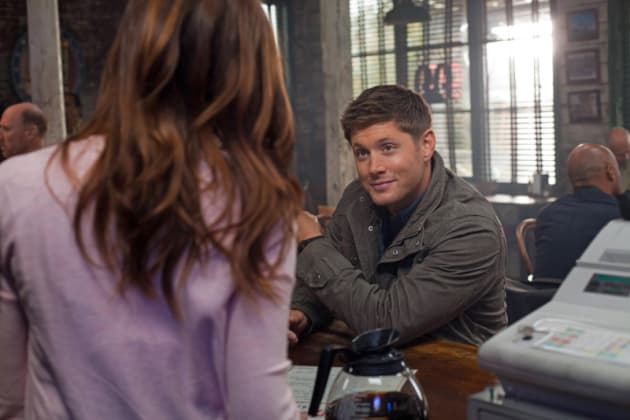 Gotta love that Winchester smile, don't you? Dean flashes it here. Supernatural Season 8 Episode 9: "Citizen Fang"